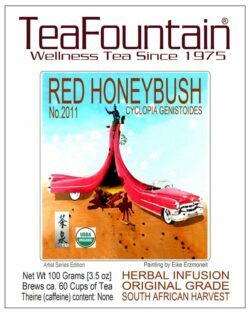 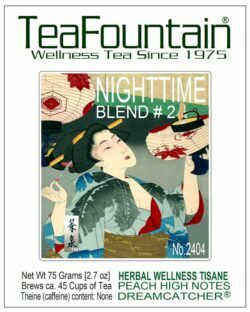 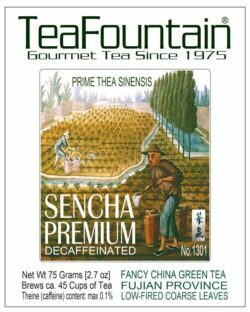 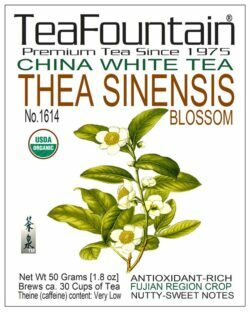 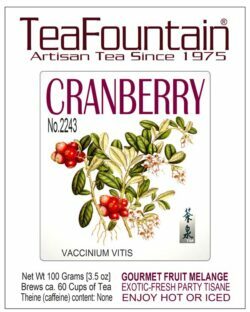 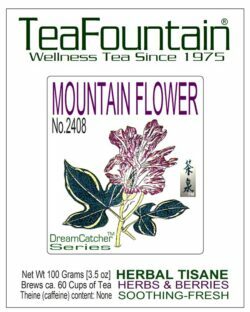 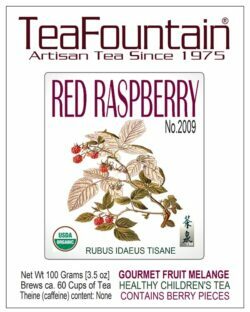 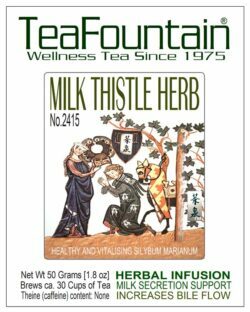 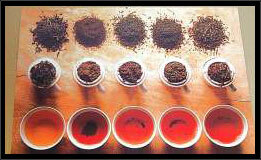 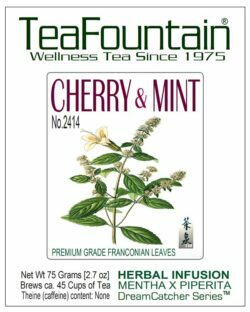 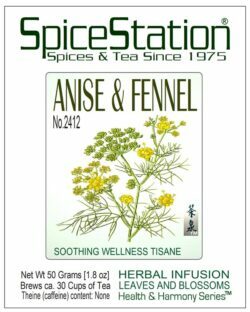 TeaFountain offers over 30 different Herbal Tea Infusions & Tisanes with delicious flavors. 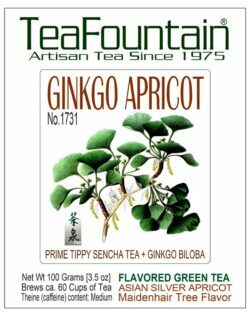 The ingredients are caffeine-free and carry benefits that support a healthy lifestyle. 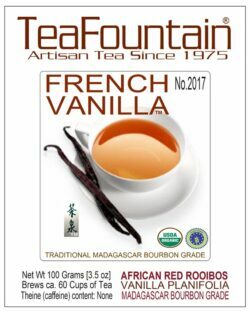 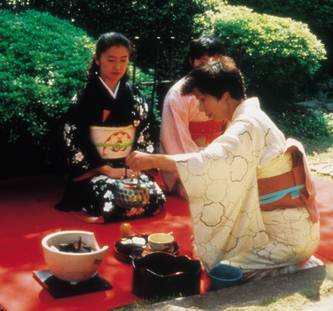 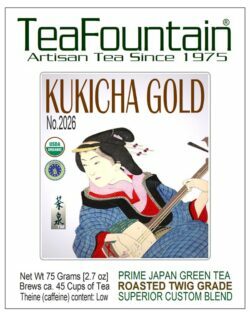 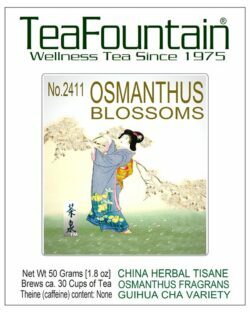 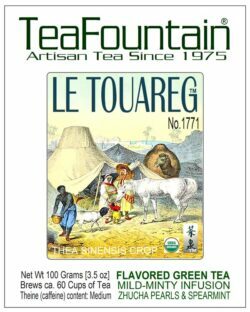 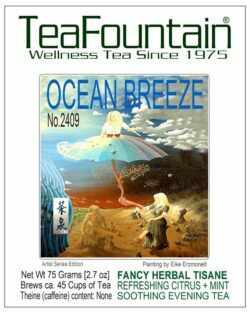 All herbal teas & tisanes handled, brokered and offered by TeaFountain are naturally grown and fairly traded. 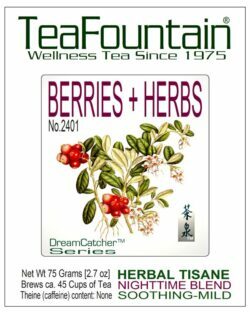 Our new ‘DreamCatcher’ ™ Nighttime Herbal Tea line is becoming popular fast. 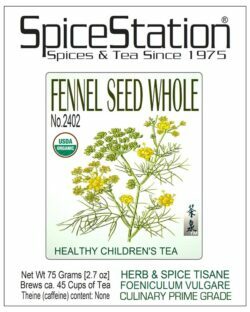 New single herbs are available. 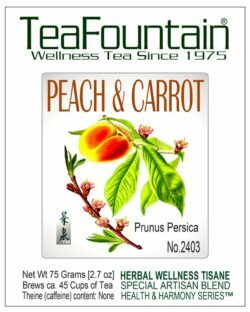 Another addition to this section are our ‘Health & Harmony’ ™ Wellness Herbal Tea Blends. 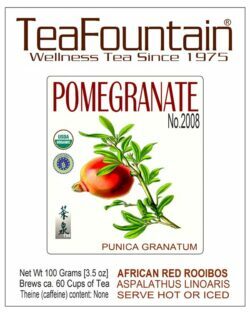 See the Rooibos Tea Section for more healthy & tasty treats. 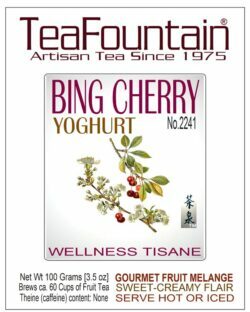 Our Teas, Fruit Melanges and Herbal Tisanes are packaged in decorative and sealed round, custom-designed metal tins. 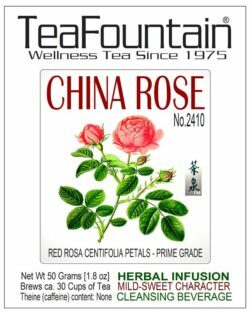 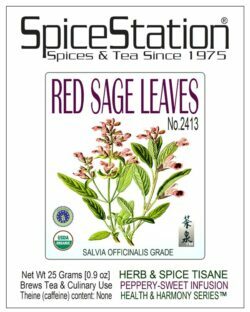 Prices shown on this page are mostly for 50Grams/1.8oz (brews 20 to 30 cups of tea) or 75 Grams/2.7oz (brews 30 to 45 cups of herbal tea). 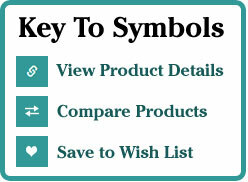 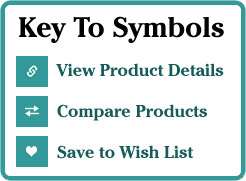 Choose other volumes and cost-effective Food-Service sizes from the drop-down menus.